Country Fare Inc, specializing in New Home Site Work, On Site Screening, Septic Systems by certified installers, Driveways and Light, Medium & Heavy Duty Trucking. We offer Free Estimates for both commercial and residential projects. Country Fare Inc is a full service commercial site work and road construction company that can also supply all of your aggregate needs (including compost and organic compost). We are locally owned and operated in Bowdoin, Maine and Country Fare Inc. services numerous communities in the central Maine area. 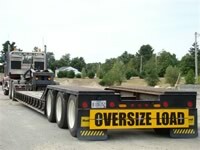 Please call (207) 666-5603 for loading hours or for more information. Member of The Maine Organic Farmers and Gardeners Association: The purpose of the Association is to help farmers and gardeners: grow organic food, fiber and other crops; protect the environment; recycle natural resources; increase local food production; support rural communities; and illuminate for consumers the connection between healthful food and environmentally sound farming practices. The Maine Organic Farmers and Gardeners Association (MOFGA), formed in 1971, is the oldest and largest state organic organization in the country. Mission: The Maine Organic Farmers and Gardeners Association is a broad-based community that educates about and advocates for organic agriculture, illuminating its interdependence with a healthy environment, local food production, and thriving communities. Click Here for our MOFGA certification. Please review our services and material list and let us know how we can help you with your next project! SPRING! "Filthy Rich" Compost, processed according to MOFGA specifications, is ready for your spring planting projects. Call to place your order today or stop by to get it loaded onto your truck or trailer! Call ahead for loading hours! Country Fare Inc. employees are Trained and Certified in Erosion Control Practices by Maine DEP. To view the certificate, please click here and here! Providing the community with quality products and services since 1983.